Anna Wintour attends the Evening Standard Theatre Awards 2018 at the Theatre Royal on November 18, 2018 in London, England. 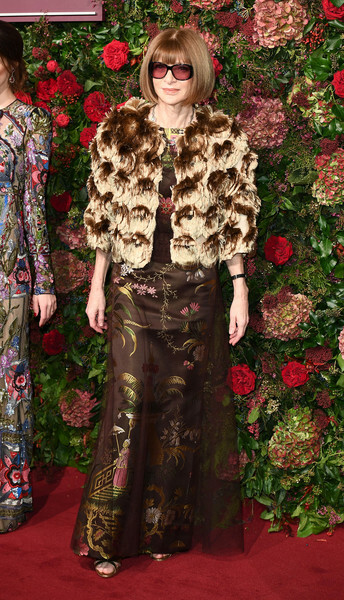 Anna Wintour added an extra dose of glamour with a tan fur jacket. Anna Wintour chose a brown print dress by Maison Margiela Couture for the 2018 Evening Standard Theatre Awards.